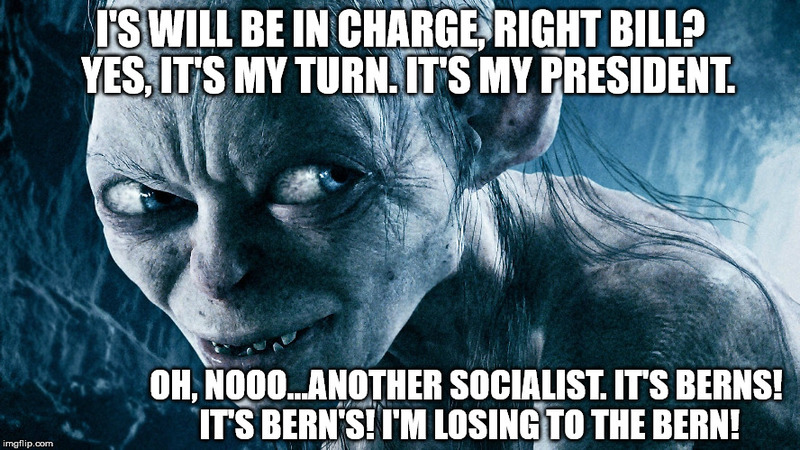 It Berns, my precious socialists, it Berns. I'S WILL BE IN CHARGE, RIGHT BILL? YES, IT'S MY TURN. IT'S MY PRESIDENT. OH, NOOO...ANOTHER SOCIALIST. IT'S BERNS! IT'S BERN'S! I'M LOSING TO THE BERN!